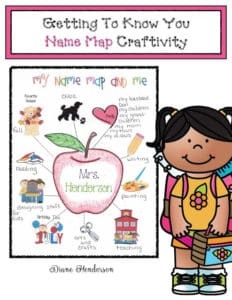 This is a quick, easy and fun way to get to know your new students and completed projects make a cute bulletin board too! Have your students draw a scribble on their paper, making large enough sections so that they can write something inside. When they are done, they color their scribble with a variety of markers or crayons. Students can write anything they want about themselves, or use my rubric for more guidance. 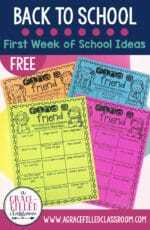 Be sure and make a sample of your own, as a means of explanation and a way for your kiddos to get to know you as well. 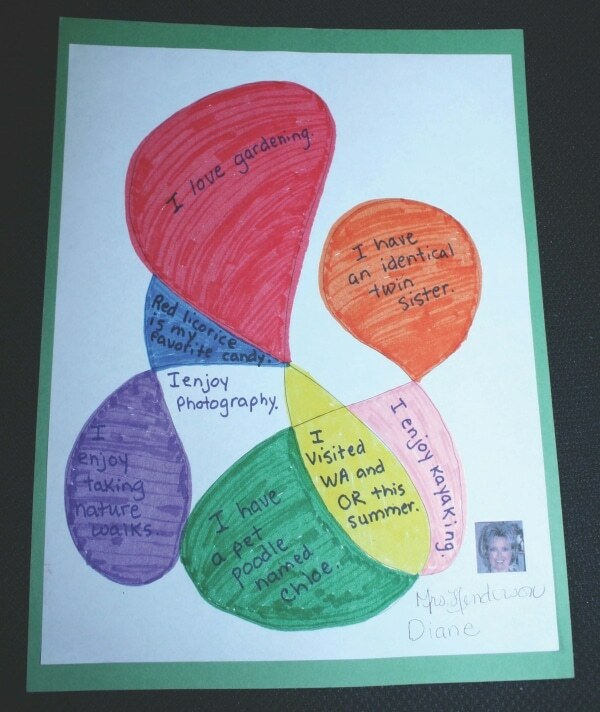 If you think scribbling is too difficult for your PK children, then run off my 6 sample templates for them to color. You or a room helper can assist them in writing down their answers. To turn this into an icebreaker game, have students number 6 of their sections. They take turns rolling the dice. Whatever number they roll is the matching numbered section that they share. If you’d like to reinforce colors, skip numbering the sections and instead use my color rubric poster. Whatever number they roll will have a corresponding color. They share that color. So…start scribbling away and learn some fun things about your students today! 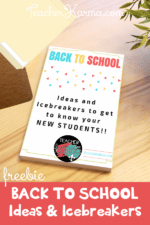 Click on the link to grab the Scribble Icebreaker.